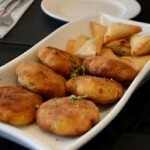 Have you ever desired to make Potatos Kabab or Shami?? If yes then read very easy recipe in urdu, Cooke it and present it to your guests. 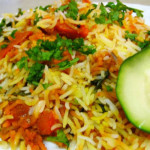 Have you ever think to make delicious vegetable briyani for some one special?? If yes then you can read hear very easy recipe in urdu language. If you want to make chines drum sticks then you can read this recipe in urdu language. Follow instructions, cook drumsticks and enjoy.